NetApp data deduplication and data compression, part of our Data ONTAP operating system, help boost storage efficiency. NetApp® data deduplication and data compression are fundamental components of our core Data ONTAP® operating architecture. These innovative data reduction features can be used across multiple applications and storage tiers–including primary data, backup data, and archival data–to help you manage your data resources with greater efficiency. Uncontrolled data proliferation is a huge problem. The average UNIX® or Windows® disk volume contains thousands or even millions of duplicate or compressible data objects that get stored across all storage tiers. 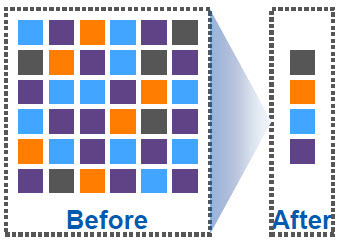 NetApp data deduplication combines the benefits of granularity, performance, and resiliency to give you a significant advantage in the race to meet ever-increasing storage capacity demands. NetApp data compression is a new feature that compresses data as it is written to NetApp FAS and V-Series storage systems. Like deduplication, NetApp data compression works in both SAN and NAS environments, and it is agnostic to both application and storage tier.